around the clock, without obligation and free of charge. A long-term and trusting relationship with our customers is our top priority. In addition to an emphatic and transparent way of working, it is important to offer exactly what our customers need. Discover our range of services and give us a call so that we can also find tailor-made solutions for you. We are an experienced partner of numerous consulates, delegations and political institutions. The PAS team is well aware of the many peculiarities of such trips and takes care of every organisational detail discreetly and professionally. If aid is needed anywhere in the world, whether in the event of earthquakes, floods, catastrophes or other humanitarian emergencies, it must go quickly. PAS is the competent and reliable partner that organizations, authorities and NGOs have trusted for decades. PAS knows the wishes and requirements of the automotive industry when it comes to aircraft charter and the logistics of large, small or distant events. We know that your product presentation must be perfect down to the smallest detail in order to really satisfy and impress your guests. At an event, it is the flight that the guests perceive as the first and last part of the event. We want not only your first impression to be the best, but also your last impression to be unforgettable. We find tailor-made flight solutions that are as individual as your company. 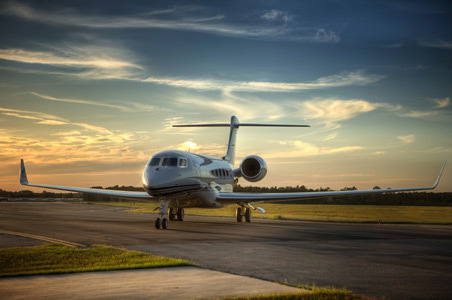 The PAS team has many years of experience with charter flights for a wide variety of industries. We know what is important and provide you with professional, reliable and uncomplicated flight planning support. It doesn't matter whether you want to reach a destination that is difficult to reach quickly, or the time factor is the most critical for you. Which exactly is the more flexible and efficient option for this trip: helicopter, turboprop or private jet. We know it and always find the perfect solution. No matter whether your guests appreciate the comfort and flexibility of a private charter to make the most of their precious time, or whether we have to take your guests to destinations that are not easy to reach for incentive events, we at PAS will always find the best solution for you and your guests. Our team supports travel managers or employees in business travel agencies in the analysis of a needs-based flight program and develops the appropriate concepts: price transparent and incorporating all lines and aircraft charter solutions. Due to our many years of experience we have excellent relationships with many airlines we have a good database to quickly handle ACMI lease (aircraft, crew, maintenance and insurance), wet lease, steam lease or dry lease requirements of other airlines. Everything that counts... As a top athlete, your performance counts. That requires all your commitment. That's why we organise a smooth flight for you, including all transfers and the transport of bulky luggage.